CADY serves as the substance misuse prevention provider for Central New Hampshire. Substance misuse is one of the most prevalent and problematic public health issues that pose a wide range of safety and health risks, impacting physical, social and emotional well-being. Substance misuse, involving alcohol, illicit drugs, misuse of prescription drugs, or combinations of all of these behaviors, is associated with a complex range of negative consequences for health and wellbeing of individuals, families and communities. In addition to contributing to both acute and chronic disease and injury, substance abuse is associated with destructive social conditions, including family dysfunction, lower prosperity, domestic violence and crime. Alcohol remains the most prevalent substance misused in the United States and in New Hampshire. Underage drinking, binge drinking, regular heavy drinking and drinking during pregnancy are some forms of alcohol misuse that pose highest risk. Marijuana is the illicit drug most likely to be used by teens and young adults. A majority of people being admitted to treatment programs in NH cite marijuana as a primary or secondary reason for seeking treatment. Marijuana use has a wide range of effects, particularly on cardiopulmonary and mental health, and is also known to be a contributing factor leading to the use of other drugs. 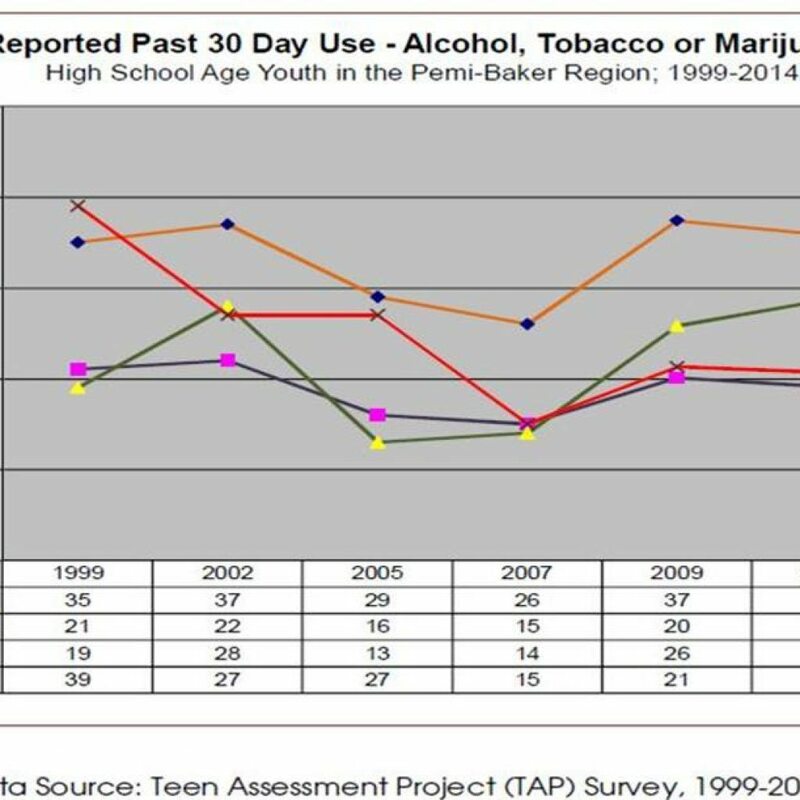 The chart below displays trends in current substance misuse (reported use in the past 30 days) among high school aged youth in the Pemi- Baker Region, which show a significant decline in use rates in recent years. Are you or someone you know in need of urgent, confidential help? Call SAMHSA's National Helpline: 1-800-662-HELP or visit NH Alcohol and Drug Treatment. If you or someone you know struggles with addiction or substance use, please call 2-1-1 or visit The Doorway for help.